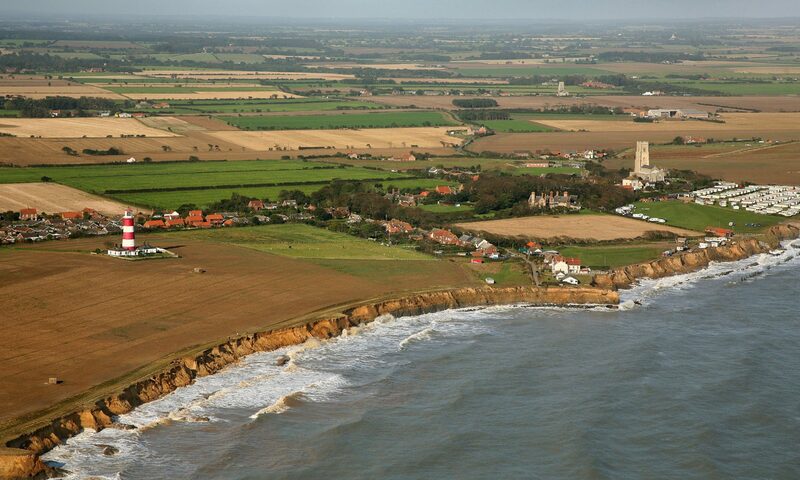 Malcolm Kerby has been at the forefront of Happisburgh’s long but fruitless battle to get Government funding to repair its shattered sea defences, which have resulted in the loss of clifftop holiday homes. He is also an outspoken critic of a new coastal management plan covering a much wider area, from Kelling to Lowestoft, which is set to change policy from “hold the line” to managed retreat – resulting in the loss of £250m worth of property over the next century. Mr Kerby said he would be calling for a single over-arching agency with enough funds to look after both inland flooding and coastal defence. Mr Kerby said inland flooding rarely resulted in total loss of property, unlike coastal erosion. “A handful of houses were lost at Boscastle, which attracted millions of pounds of aid and visits from top politicians – but Happisburgh has lost 26 properties to the sea in the last 15 years, and has received nothing,” he added. The British response to the Asia tsunami disaster had been wonderful, but he felt that if the public also realised that destruction of homes was happening on a smaller scale on their doorstep they would also be appalled, said Mr Kerby. He would also be pointing out the Government had a duty to protect people’s homes and family lives under the Bill of Human Rights. If they chose to ignore that they should consider compensation, which might help remove the blight now affecting places earmarked to lose their defences under the new Shoreline Management Plan. If a natural coastline was “in the national interest” people should get compensation, like they would if their land needed for airports and motorways in the national interest. There was a need for “social justice”, and for Government to “square the circle” by providing compensation if it did not provide defences. North Norfolk MP Norman Lamb said he was also attending the seminar to keep himself informed of developments. The issue of managed retreat still needed to be challenged and he would raise the compensation issue too. He also aimed to use new Freedom of Information Act powers to check out Government claims that compensation had never been discussed.